Dinis Guarda is an author, speaker, serial entrepreneur, advisor and experienced CEO. He creates and helps build ventures focused on global growth, 360 digital strategies, sustainable innovation, Blockchain, Fintech, AI and new emerging business models. He is the founder and CEO of Ztudium that manages blocksdna and lifesdna. These products and platforms offer multiple AI P2P, fintech, blockchain, search engine and PaaS solutions in consumer wellness healthcare and lifestyle. “I am a doer, CEO, board member and digital and crypto economics driver and evangelist. I create and help companies, organizations gain greater value and maximize Return on Investment and Return on Attention in a digital disruptive world,” Dinis says of himself. He has worked with diverse organizations from start-ups, to Fortune 500 companies and small and medium enterprises, governments and international organizations such as the United Nations. He applies his vast knowledge and experience of running global management teams to setting new directions for businesses in a technologically fast-moving world. Dinis Guarda holds BA in English Language and Literature from University of Lisbon, Portugal and MA in New Media from London South Bank University, UK. 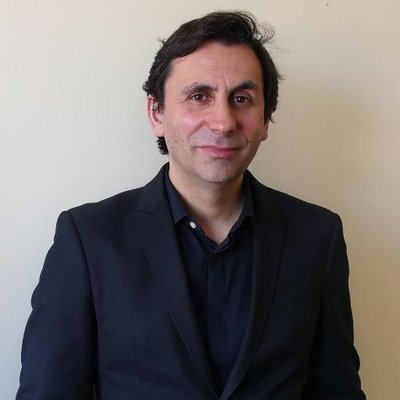 Dinis has lectured at Groupe INSEEC/Monaco University, and Copenhagen Business School, among others, and advised governments and regulators across the world. Guarda shortly worked as CEO of Humaniq, a global Fintech company that provides next-generation financial services in emerging economies. Dinis publishes Intelligenthq.com, Hedgethink.com and Tradersdna.com among others. He is the author of various books. His works titled "How Businesses and Governments can Prosper with Fintech, Blockchain and AI?” was published earlier this year. “Tokenomics and ICOs - How to be good at the new digital world of finance/Crypto” will be launched later in 2018. He is listed in various global fintech, blockchain, AI, social media industry top lists as an influencer. Cointelegraph has included him in Top People in Blockchain ranking. Crypto Weekly places hiim 35th among 100 Most Influential People in Crypto. Ztudium operates as an information technology company. The company provides data insights, digital transformation, AI, blockchain, DTL tech, and crypto consultancy services for the information age. Ztudium serves businesses and social channels worldwide. Ztudium helps businesses that want to evolve and adopt new technologies by supporting them with legal, tech, branding and business development through the use of digital media and targeted technology tools. 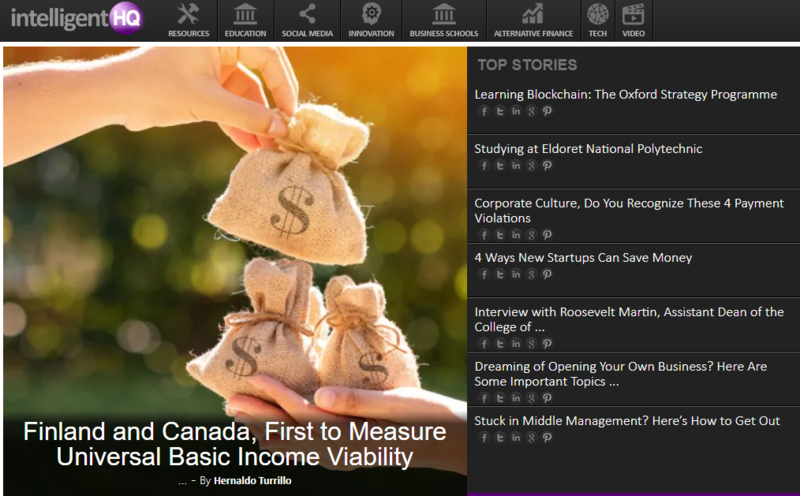 IntelligentHQ.com is digital, innovation social business network that provides intelligence, education for professionals, businesses startups and universities. It is a platform that provides digital business insights, growth, executive education and change through the social media innovation lens to business - both startups and corporations. It intends to be the standpoint space where the business intelligence trends, ideas co-exist in a beta social interactive platform directory of tools for businesses and professionals. IntelligentHQ is a platform for authors, which allows the latter to get better recognition. lifesdna is the world’s first blockchain, AI powered search engine operating system and marketplace for healthcare, wellbeing and lifestyle information, data and content, connected with a secure, decentralized marketplace and community for users, scientists, researchers, industry players and global influencers.